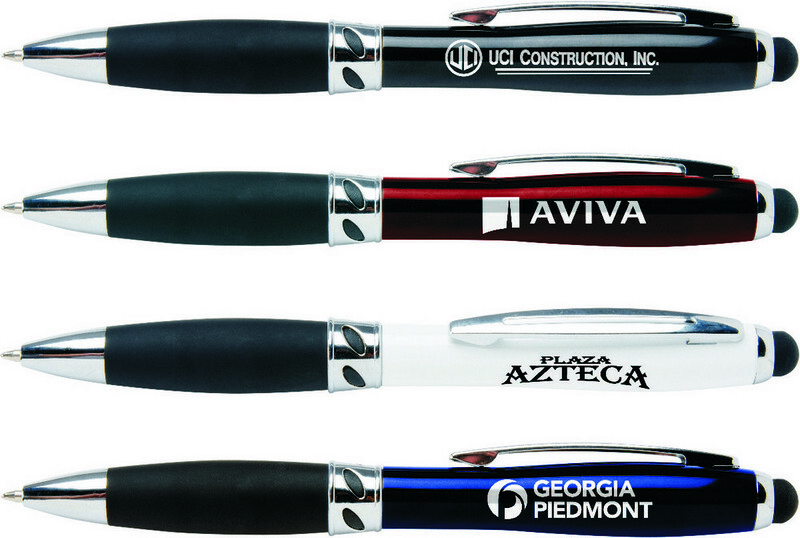 The Zonita ballpoint Stylus pen features an oversized rubber grip and a handy tech Stylus. Imprint Area: 1-1/4" x 3/16"
Present to your clients this stunning, versatile and contemporary instrument branded with your logo. 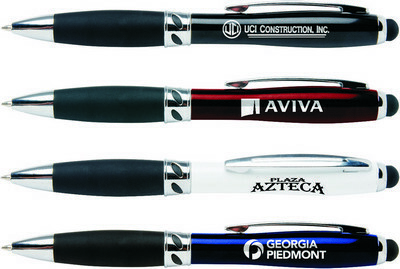 The Hub Zonita Retractable Ballpoint Pen is twist action retractable that does more than just take notes; with its handy stylus tip one can operate any touch screen device while juggling to write notes with the same instrument. The pen's glaring body is because of high gloss enamels which is further accentuated by chrome filigree band and accents. The ergonomic hourglass-shaped body of the Hub Zonita Retractable Ballpoint Pen with massive rubber gripping is bliss for writing.